The MSNBC host claims she's being "silenced" and that she's boycotting her own network. But does she really think her show should take precedence over live campaign coverage? Melissa Harris-Perry is an undeniably smart person whose show is often admirably wonky and culturally incisive. Like nearly every other second string player at a large network, though, fairly or unfairly she’s found herself occasionally neglected by management -- at the very least not shown the kind of respect she maybe thinks she deserves. No one could blame her if she found this a little irritating. Everybody subjected to it does. Everybody not a marquee talent in TV news has tales of being disregarded, overworked, and generally undervalued, and that’s the excuse they use for why they’re angrily beating down their agents&apos; doors and slowly drinking themselves to death. The thing is, nobody makes a huge public stink about it because the news business is tough and it’s a given that you’re going to get ridden hard and to the point of utter frustration by sometimes clueless suits. Well, usually nobody makes a huge public stink about it. But wait, there’s more. Harris-Perry also directly goes after not only MSNBC boss Phil Griffin but NBC News chief Andy Lack, seemingly accusing them of racism in their dealings with her. “I will not be used as a tool for their purposes,” she writes. “I am not a token, mammy, or little brown bobble head. 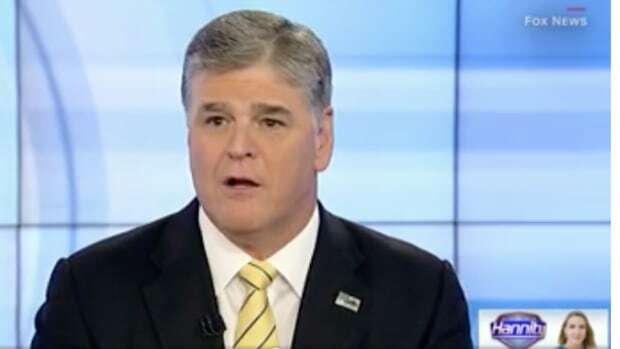 I am not owned by Lack, Griffin, or MSNBC.” When contacted by The New York Times about the memo, Harris-Perry walked back her implication only slightly, saying that she doesn’t know if there’s a “personal racial component” at work in MSNBC and NBC News’s supposed neglect of her, but that she doesn’t think anyone is doing anything “mean” to her because she’s black. Either way, to suggest even mildly that racism is to blame for NBC management’s actions -- or to compare being the host of a show on a major cable news outlet to being a slave -- makes Harris-Perry sound way beyond unhinged and perhaps not deserving of the forum she’s been granted by the network she’s now publicly attacking. 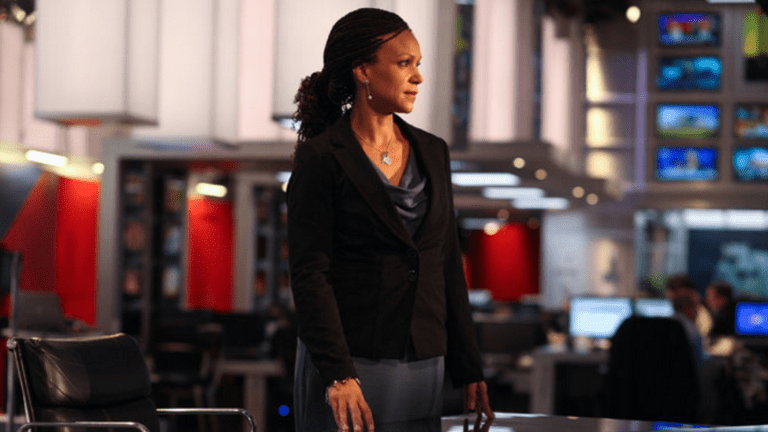 Melissa Harris-Perry is someone with no journalistic experience who began her career at MSNBC as nothing more than a semi-regular guest before being given her own show. True, everyone deserves to be treated with respect, but even with her stellar educational credentials if she thinks she has some weight to throw around she’s far more arrogant than she comes off. Last weekend saw the Democratic caucus in Nevada. 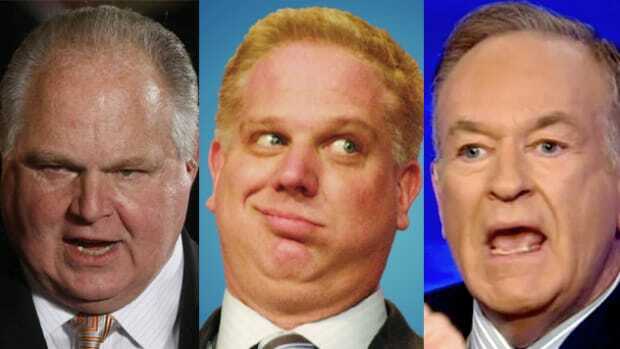 This weekend it’ll be the South Carolina primary. 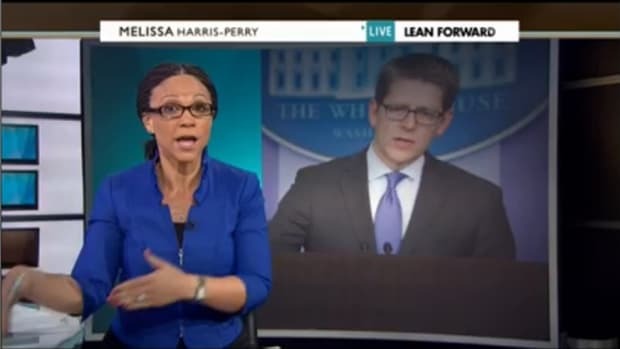 The fact that MSNBC isn’t stopping its live coverage in the middle of the day to throw to B-lister Melissa Harris-Perry’s show so that she can talk about whatever she feels is most important not only isn’t surprising, it’s absolutely the right move from a coverage perspective. 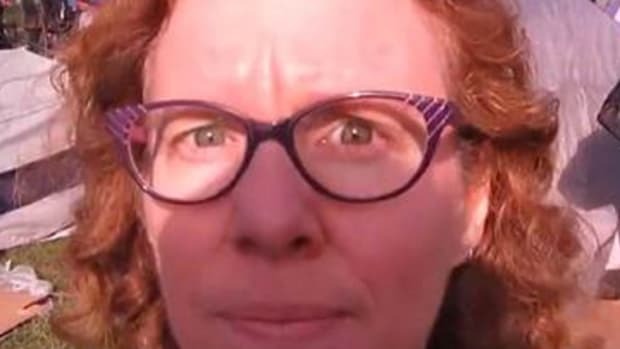 Is it true that Andy Lack and Phil Griffin have blown off Harris-Perry’s requests to explain what the preemptions might mean for the future of her show, as she claims? That could be, given that NBC News has a long, proud history of screwing with its talent -- and Harris-Perry simply doesn’t rank all that high on the network’s list of priorities. But to go on a sanctimonious rampage in which you imply that your bosses regard you in racist terms and to refuse to do what you’re asked to by them because you feel slighted is both offensive and childish. To put it frankly, MSNBC’s campaign coverage -- which is vital to the network -- is not about Melissa Harris-Perry, and to be even more frank, if she believes the network to be an important platform for getting her very important “voice” out there, then she needs it more than it needs her. 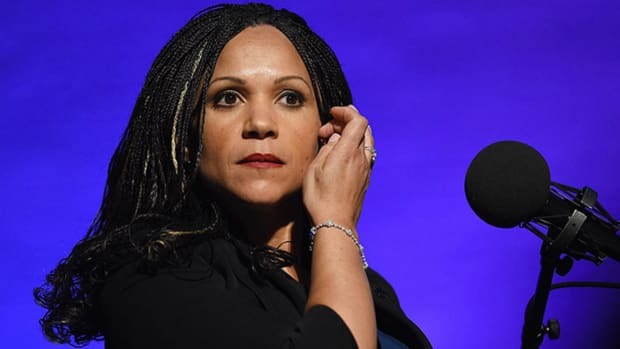 Melissa Harris-Perry, as smart as she is, has said a lot of very strange things over the past several months. She told a dramatic story about how a man approached her in the lobby of a hotel, in front of dozens of people, and made her feel like he might kill her (even though he never touched her or was threatening enough to provoke security). On her show, she lamented how in Star Wars, the villain was a “totally black guy” who cut off “white men’s hands.” She corrected a guest who claimed that Paul Ryan was a hard worker by saying that he needed to be “super careful when we use the language ‘hard worker,” because, apropos of nothing, slaves working in a field is what real hard work is. None of this necessarily means that Harris-Perry is some loose cannon who can’t be trusted with campaign coverage -- obviously, she’s done it before and was scheduled to again -- but when you consider these kinds of comments as well as her status as a second string player, it’s easy to see why MSNBC wouldn’t hand complete editorial control of its campaign coverage over to her, even for a couple of hours. Like it or not, host of her own show or not, Melissa Harris-Perry is an NBC News grunt and when she’s called upon to make sacrifices and be a team player, she has to do and be just that. That’s of course if she values the airtime she’s been given. Because I promise you, especially at this point in MSNBC’s existence, Phil Griffin and Andy Lack could drop her and not even think twice about it. She isn’t being "silenced," and she isn&apos;t owed a damn thing. 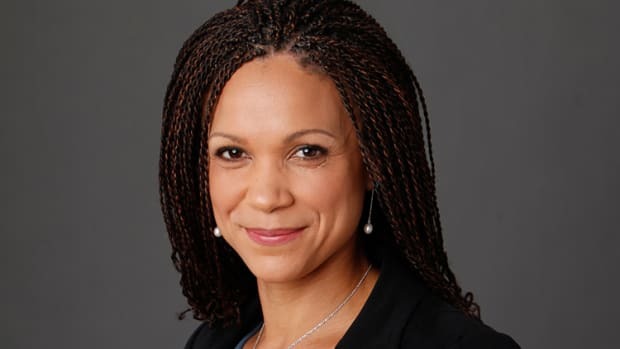 Update: Over the weekend, MSNBC officially parted ways with Melissa Harris-Perry, which should come as a surprise to no one after she had a former producer of hers leak her e-mail to the public. 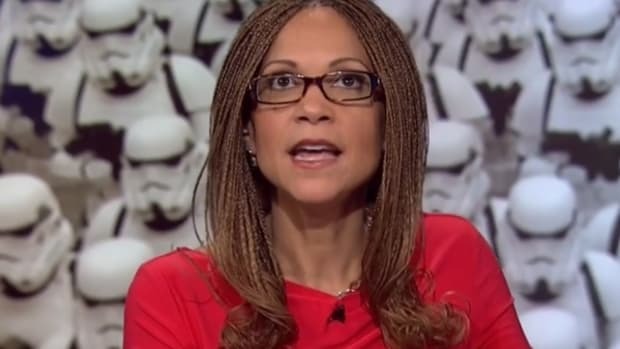 According to Jezebel, tension between Harris-Perry and MSNBC management began a few weeks ago when she wanted to do a segment on Beyonce&apos;s Formation video on her show but was instructed to stick more to election coverage. She believed her "autonomy" was being infringed upon. The problem is this: Melissa Harris-Perry never had editorial autonomy and she was, to be honest, a little too high on her horse if she thought she did. Again, she was a second-stringer and one who served entirely at the pleasure of MSNBC and NBC News&apos;s editorial managers. Like most MSNBC hosts and certainly ones with less-than-marquee shows, the people at the top had the final say in coverage and it was wrong for her to assume the control went in the other direction. Her show was a distinctive one and there&apos;s of course an argument to be had about MSNBC cutting a show hosted by a woman of color. But that doesn&apos;t change the fact that she reacted badly and unnecessarily to a situation that&apos;s thoroughly typical and her behavior was somewhat unprofessional.